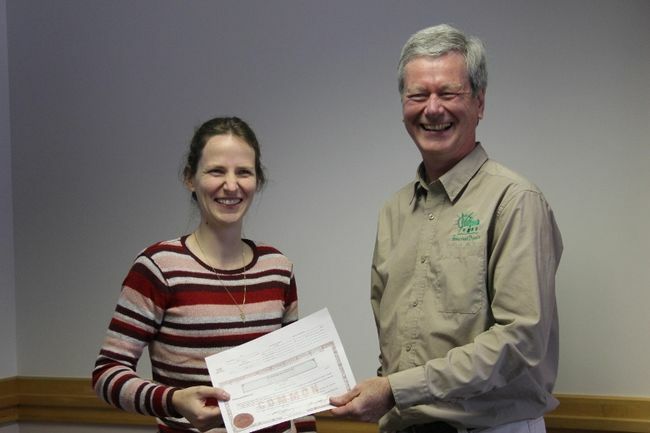 Homestead Organics employee Valerie Yoder, one of 13 employees participating in the ESOP, receives her share certificate from Tom Manley on Monday March 6, 2017 in Morrisburg, Ontario. and book store” in rural Ontario sold 5% of its company to half of its employees in an ESOP. They plan to transition 5% of the business to employees each year. The Graham Company in Philadelphia, the 64th largest brokerage firm in the U.S., became 100% employee owned through an ESOP, eschewing a $230-million acquisition that could have led to staff lay-offs. This Philly.com profile of William A Graham gives more insight into the owner’s personal character. The largest lessor of helicopters for domestic news agencies just transitioned from Helicopters, Inc. to Helicopters, Inc Employee Stock Ownership Plan, Yahoo reports. “Based in Cahokia, IL, the Company employs more than 300 people in over 36 metropolitan locations across the U.S.” ButcherJoseph & Co advised the transition. UK-based Blackwells booksellers is one step closer to becoming an employee-owned partnership like John Lewis. If you’ve watched Anthony Bourdain’s hit series Parts Unknown, you’ve seen a glimpse of Noma, a Copenhagen-based Michelin-star restaurant. Now, even their dishwasher Ali Sonko is a partner (pictured above)! This Singapore Times article profiles multiple employee-owned restaurant companies including Arizmendi Bakeries, Harpoon Brewery, Ram Restaurant & Brewery, and Zachary’s Chicago Pizza. The 75 employees of Wisconsin-based Diversified Insurance Solutions became ESOP owners in January. “It’s time to reward those individuals who are going to take us forward into the future and continue to allow us to grow and hopefully prosper and serve our clients the way that we need to serve our clients and take care of our associates the way we need to take care of our associates,” co-founder Jim McCormack said. Joanne Swerdlin, founder of Swerdlin & Associates, was elected to become a board member for the National Center for Employee Ownership and trustee for the ESOP Association’s Employee Ownership Foundation. Her actuarial firm has 30+ years of advising companies to become ESOPs. ASPPA contrasts Employee Stock Ownership Plans and Multiple Employer Plans. The Power of the ESOP: The Perks of Employee Ownership appeared in Kansas City Business Journal. The U.S. Senate moved closer to finalizing the Encouraging Employee Ownership Act, Reuters reports. Jim Altman from Pennsylvania Huntington Bank makes the case for ESOP succession plans.